So I have always worked out either with a group or on my own. Recently, I have found it hard to get motivated to continue my workouts on my own. My fitness groups have all subsided into doing their own thing with their families, which I of course can't fault any of them for. It just seems I am having a hard time getting going again since having my second daughter which was honestly over two years ago. 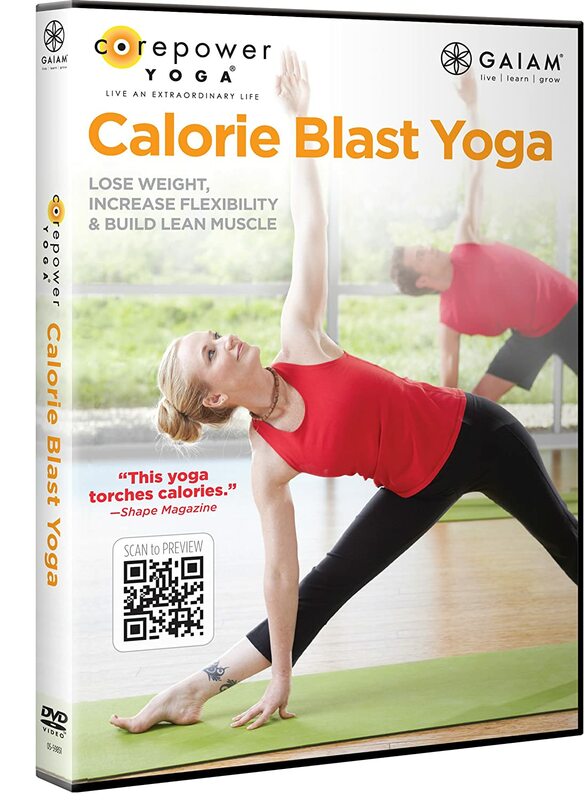 Recently, I was asked to review Gaiam Core Power Yoga Calorie Blast and I was ready to give it a shot! Anything to kick start my healthy living again is fine by me. transform your body from the inside out." This DVD is really easy to follow along with and gives you an overall good workout. I felt it was just what I needed to start me back into my normal routine of working out and getting healthier again. A few of the moves I had to modify to accommodate for my prior injuries, but overall it felt good to workout and definitely gets you sweating. Yoga is the new craze and stretches your body and your mind all while giving you a great workout. After doing this workout my abs are really hurting, so you know it is working. :) I really enjoyed it and am looking forward to doing it again tomorrow. Giveaway: Gaiam is going to give one of A Lucky Ladybug's lucky readers Gaiam Core Power Yoga Calorie Blast DVD of their own!